Kendall Imports of Bend is pleased to be currently offering this 2016 BMW X1 xDrive28i with 48,550mi. This 2016 BMW X1 comes with a CARFAX Buyback Guarantee, which means you can buy with certainty. As a compact SUV, this vehicle packs all the performance of a full-size into a package that easily navigates the urban terrain. Navigate through all the icky weather with ease in this AWD-equipped BMW X1, and even get non-stop traction for your non-stop lifestyle! In addition to the amazing traction control, you may even qualify for an insurance reduction with this AWD vehicle. More information about the 2016 BMW X1: The BMW X1 aims to bring buyers the utility and practicality of a small SUV without the boring driving experience that usually accompanies such a vehicle. BMW X1 standard equipment levels are high and the X1 offers a driving experience that can't really be matched by anything in its class. The X1 offers a great combination of driving fun, interior room and smartly executed ideas; all wrapped up in a small SUV package. This 2018 BMW X2 xDrive28i is proudly offered by Kendall Imports of Bend Your buying risks are reduced thanks to a CARFAX BuyBack Guarantee. This BMW X2 xDrive28i is an incredibly versatile vehicle that is a must have for any family. Once you see this BMW, you'll quickly see that this is the perfect vehicle for the outdoor junky! You'll even feel relaxed knowing that this All-Wheel drive vehicle will get you to where you are going no matter what may come your way. Also, with this BMW X2's dependable control you'll be able to drive into the sunset without a care in the world! You've found the one you've been looking for. Your dream car. This 2018 BMW X2 xDrive28i is proudly offered by Kendall Imports of Bend This 2018 BMW X2 comes with a CARFAX Buyback Guarantee, which means you can buy with certainty. This SUV gives you versatility, style and comfort all in one vehicle. You'll love the feel of AWD in this 2018 BMW X2. It provides a perfect balance of handling power and control in virtually every driving condition. Based on the superb condition of this vehicle, along with the options and color, this BMW X2 xDrive28i is sure to sell fast. Contact Kendall Imports of Bend today for information on dozens of vehicles like this 2018 BMW X1 xDrive28i. The 2018 BMW X1 will provide you with everything you have always wanted in a car -- Quality, Reliability, and Character. Surprising quality accompanied by a high level of performance...this BMW X1 xDrive28i could end up being the perfect match for you. When you purchase a vehicle with the CARFAX Buyback Guarantee, you're getting what you paid for. This BMW X1 xDrive28i has a tough exterior complemented by a well-designed interior that offers all the comforts you crave. Save money at the pump with this fuel-sipping BMW X1. Hit the gas pedal and put the engine power to all four wheels. With AWD, you'll have the greater performance right off the line, everytime you drive. Contact Kendall Imports of Bend today for information on dozens of vehicles like this 2018 BMW X2 xDrive28i. The X2 xDrive28i doesn't disappoint, and comes with all the quality and understated opulence buyers have come to expect from the respected BMW marque. A truly versatile SUV, this vehicle will please even the most discerning of buyers. This BMW X2 features AWD. That means power and control delivered to all four wheels for maximum grip and improved handling. Driven by many, but adored by more, the BMW X2 xDrive28i is a perfect addition to any home. Look no further, you have found exactly what you've been looking for. 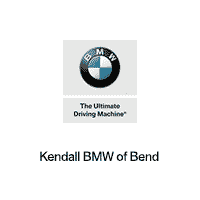 Kendall Imports of Bend is excited to offer this 2019 BMW X3. In their original incarnation, SUVs were chiefly owned by folks who valued utility above sport. Not anymore! The BMW X3 xDrive30i redefines the SUV and makes the perfect all around family companion. Put performance, safety, beauty, sophistication and all the right amenities into a car, and here it is! Now you can own luxury without the luxury price tag! When the BMW X3 xDrive30i was created, it was automatically enhanced by having the performance ability of all wheel drive. Not only will you notice improved steering and superior acceleration, but you can also rest easy knowing that your vehicle comes standard with increased stability and safety. You can finally stop searching... You've found the one you've been looking for. This 2018 BMW 3 Series 328d xDrive is proudly offered by Kendall Imports of Bend Opulent refinements married with exceptional engineering make this the kind of car you'll want to own for a lifetime. Outstanding fuel economy and sleek styling are two great reasons to consider this BMW 3 Series. This BMW 3 Series features AWD. That means power and control delivered to all four wheels for maximum grip and improved handling. You can finally stop searching... You've found the one you've been looking for.